(Reuters) - An investigation by Wells Fargo & Co's (WFC.N) board laid blame for the company's unauthorized accounts scandal on a high-pressure sales culture and a retail executive obsessed with stamping out negative views about her division. The report, carried out by board Chairman Stephen Sanger and three other independent directors and released to media on Monday, said former retail division head Carrie Tolstedt ignored the systemic nature of abusive sales practices and accused her of impeding the board's efforts to address an issue that festered for years. Lawyers for Tolstedt rejected the report's findings on Monday. She had declined to be interviewed for the investigation. "We strongly disagree with the report and its attempt to lay blame with Ms. Tolstedt. A full and fair examination of the facts will produce a different conclusion," Enu Mainigi, Williams & Connolly LLP, attorneys for Tolstedt, said in a statement. Sanger, a board member since 2003, faces pressure to root out the problems amid calls by advisory group Institutional Shareholder Services for investors to oust him and other directors in place when the scandal broke. Glass Lewis meanwhile has recommended votes against six board members at the bank's April 25 annual meeting. In an interview with Reuters, Sanger said the bank was not scapegoating anyone. "I’m not surprised that some of the people involved see it differently but we stand by the findings of this investigation,” he said. Sanger said the report showed the board had taken the appropriate action with the information it was given and had revamped compensation, leadership and its own structure to make sure such abuses did not reappear. “I’m very disappointed in the ISS and Glass Lewis recommendations, they do not take into account sufficiently the actions that the board has taken since the issue broke," he said. With the U.S. Department of Justice looking into the sales practices, experts said Wells Fargo's board was under pressure to ensure the buck stopped with someone else. The Department of Justice declined to comment on its probe. Stumpf, who retired under pressure from the scandal in October, was criticized for failing to grasp the gravity of the sales abuses and their impact on the bank. In the 110-page report, Stumpf was described as blinded by Wells Fargo's cross-selling success. He refused to believe the model was seriously impaired and was full of admiration for Tolstedt, with whom he had a long working relationship. According to one director, Stumpf praised Tolstedt as the "best banker in America." The report said Tolstedt hid the scale of the misconduct from the board, which only discovered that 5,300 staff had been fired for opening more than 2 million unauthorized accounts when the bank reached a $185 million settlement with regulators in September. A lawyer for Stumpf declined to comment on the report. The bank has fired five senior retail bank executives, including Tolstedt, over the scandal and imposed forfeitures, clawbacks and compensation adjustments on senior leaders now totaling more than $180 million, including $69 million from Stumpf and $67 million from Tolstedt. Since the scandal broke, the bank has seen a steady decline in the number of consumers opening checking and credit card accounts and has lost its status as America's most valuable bank by market value. Sales practices were identified as a “noteworthy risk” to the board and its risk committee, of which Sanger was a member, in 2014 after a series of stories in the Los Angeles Times detailed some of the practices. But Tolstedt was left to deal with the issue and was “notoriously resistant to outside intervention and oversight” the report said. Multiple board members felt misled by a presentation by Tolstedt and others to the risk committee in May 2015. The board members said they left thinking that between 200 and 300 employees had been fired for sales practice abuses and the problem was largely concentrated in southern California. The report criticized the board for not centralizing risk functions at the bank earlier, not requesting more detailed reports from management and not insisting Stumpf get rid of Tolstedt sooner. Tim Sloan, who replaced Stumpf as CEO, was described in the report as having little contact with sales practices at the bank before becoming chief operating officer and Tolstedt's boss in November 2015. Six months later he told her to step aside. Since the scandal broke, the bank has ended sales targets, changed pay incentives for branch staff, separated the role of chairman and CEO and hired new directors to its board. A big part of Wells Fargo's problem was its decentralized business model, which meant the retail bank was able to keep inquiries from head office at arm's length. There was no joined-up effort by either the bank's human resources or legal divisions to track and analyze the problem. 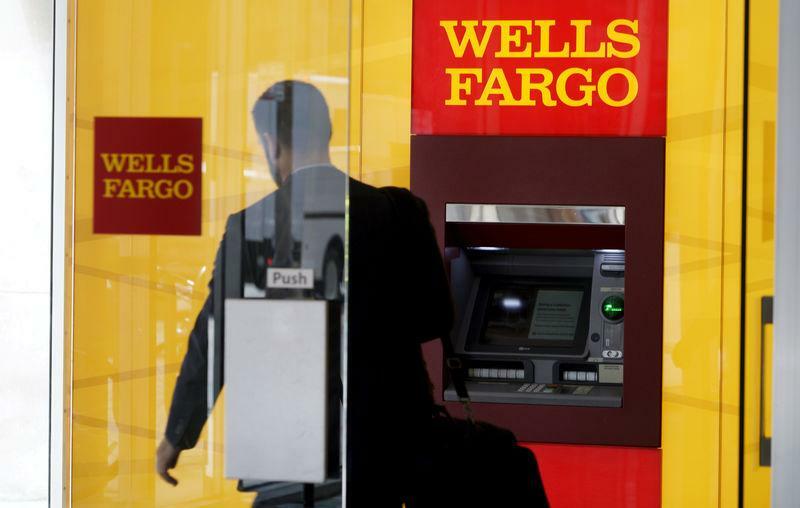 As far back as 2002, Wells Fargo's retail bank was taking steps to deal with sales practice violations and in 2004 an internal report recommended eliminating sales goals for employees. That report was sent to, among others, the chief auditor, a senior in-house employment lawyer, retail bank HR personnel and the head of retail bank sales & service development. No action was taken. Externally, Wells was lauded by investors for cross-selling customers multiple products and for its squeaky-clean reputation relative to peers following the financial crisis. Internally, the sales pressure was oppressive, particularly in California and Arizona, where senior bankers sometimes called subordinates several times a day to chastise those who failed to meet sales objectives. Tolstedt was perceived by high-level employees as having the support of Stumpf, with whom it was considered best to avoid raising problems with. "Stumpf was ultimately responsible for enterprise risk management at Wells Fargo, but was not perceived within Wells Fargo as someone who wanted to hear bad news or deal with conflict," the report said. Wells Fargo shares were down 0.44 percent at $54.6 in early afternoon trade.